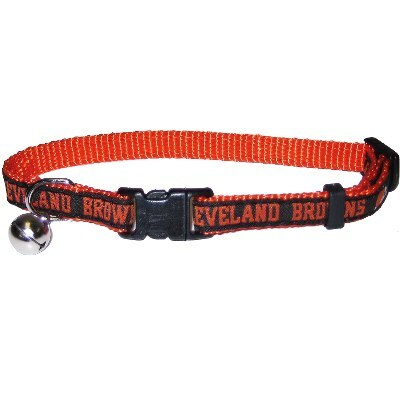 Officially licensed Cleveland Browns NFL Cat Collar. Official team colors woven team logo design over nylon cat collar. Metal bell attached to easily locate your pet. Adjustable neck from 8"-12" fits most cats.